Q. How can I connect to Gremlin Radio using iTunes?" A. Follow the below instructions. ---- Go down until you see GremlinRadio.com = Enjoy! Q: When will my requests play? A: This is FYI because this occasionally gets asked. This station is a legal station and royalties are paid. There are many restrictions on how requests can be played. Thank the government and big record labels for dictating how we can play your requests. To conform to this law (DMCA) we are attempting to follow the below restrictions imposed on radio stations. This is not a complete list but the primary issues that affect us. Sound recordings can't be performed within one hour of a request by a listener or at a time designated by the listener. You should not intentionally program more than four songs (and not more than three songs in a row) from the same recording artist or anthology/box set. Archived programs (those that, when accessed, always start in the same place and play in the same order) should be at least five hours long, and should not be available for more than two weeks at a time. Continuous "looped" programs (those that always perform in the same order, but are accessed in a continuous play stream) should be at least three hours long. Rebroadcasts of programs can be performed at scheduled times three times in a two-week period (for programs of less than one hour) and four times (for programs of an hour or more). Do not publish advance program guides or use other means to pre-announce when particular sound recordings will be played. However, a webcaster may name one or two artists to illustrate the type of music on a particular channel; and, DJ "teaser" announcement using artists' names are permitted, but only those that do not specify the time a song will be played. Use only sound recordings that are authorized for performance in the United States (e.g. : do not play bootleg recordings). Provide some means for the end user to identify the song, artist and album title of the recording as it is being played. Lastly, the DMCA also requires that you accommodate technological copyright protection measures or pass through any identification, which may be included in the song recording itself, as long as it does not impose substantial costs or burdens on the webcaster. Also, do not deploy or support technological means to evade these requirements; and, do not explicitly encourage home taping. Once these restrictions are met your requests will be placed in the queue to play following any others already there. Q: I see several choices to listen to. What’s the difference? A: One option is picking which bitrate to use. What is the bitrate you ask? You'll see it listed as a number such as 64k, 128k etc. The higher the number or bitrate, the better the quality of the audio stream. Q: So why would I listen to a lower quality stream? Good question. A: The reason is that you may not have a fast enough internet connection to listen to the best quality. Generally what would happen in that case is the audio would play a bit, stop for a little and play again. This would repeat continuously. The second option is picking a stream to listen to is less technical. You'll see links for several audio players that are common. Only one comes with Windows and you should have it on your system and that is Windows Media Player. There are also other links to popular players such as iTunes, WinAmp and Real Player. If in doubt about what you have then pick Windows Media Player. Also if you enjoy listening to GremlinRadio on an app in your car; it is highly recommend to use a lower bitrate. This will eliminate buffering of the music while driving through different cell towers. FAQ - What bitrate should I use? A: Bitrate, is a term used to describe the amount of bits per second used to store/encode the audio information being streamed or saved in an audio file.In the MP3 format,generally, 192 kbps is considered CD quality. 128kbps is considered near CD quality. 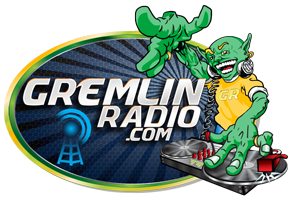 GremlinRadio.com is owned by Kipp Gremillion & Shane Rushlo. At no other time has it been owned by anyone else. GremlinRadio.com's primary manager is ShaneRushlo (Direct of Operations). Unfortunately there have been false claims to the owner/manager of GremlinRadio.com in the past to which they have used the site for theirown benefit. All such claims are false. We do however have administrators and GremlinRadio.com DJs who have relative level access to the site. To comply with The Children's On-line Privacy Protection Act of 1998 (COPPA), GremlinRadio.com does not accept registrations from children under the age of 13 without a written permission document from their parent or guardian. GremlinRadio.com may change this policy from time to time. If so, any such changes will be posted on this page, so that GremlinRadio.com may keep its users informed of its information collection practices. Accordingly, we recommend that you consult this page frequently so that you are aware of our latest policy. The personal information we collect is the information that you provide to us, such as your name, IM contacts, websites addresses, email address, and other information you may type on the site. Non-Personal Information we also collect from you, such as your browser type, the URL of the previous website you visited, your ISP, operating system, and your Internet protocol (IP) Address. This personal information is only used for GremlinRadio.com's internal use and is not disclosed to any third party.We use reasonable efforts to protect your personal information from unauthorized access or disclosure. We assume no liability for any disclosure of data due to errors in transmission, unauthorized third party access or other acts of third parties, or acts or omissions beyond our reasonable control. GremlinRadio.com is licensed to broadcast, In addition to paying our fair share to the writers and artists, we comply with the DMCA involving our playlist requirements. Q: How do I listen to GremlinRadio.com through an app on smart devices? A: This is pretty simple actually. You will need to download the app from the Apple app store or Google Play Store on your device. 1. Go to the app store and search for "XiiaLive" or "Radio Tuner". Find the app you perfer and tap it. You can also use the below links to download them. 2. Tap the “Install” button. 3(a). The XiiaLive app should now install on your Apple or Android device. After it is installs, open the app and you should see a search button on the top right side. Hit that button and you will see “Search” on the top. Type in the search for "GremlinRadio" to find the station. 3(b). The Radio Tuner app should now install on your Apple or Android device. After it is installs, open the app and you should see a search button on the bottom center menu. Hit that search button. Type in the search for "GremlinRadio" to find the station. 4(a). Once you have the station open in Xiialive "Tap the "towner" in the middle right corner to add to your favorites. 4(b). Once you have the station open in Radio Tuner "Tap the "star" on the top left corner to add to your favorites. 5. Once you have this saved you can access it at the bottom under your “Favorites” tab. FAQ - How did GremlinRadio.com come about? Q: How did GremlinRadio.com come about? I started streaming about 2000 because I could not find any good breaks station online. There are more now but back then I could not find any. So it started out like this. Iwas desk jockey at day (disc jockey on the weekends) working at an engineering company doing some CAD drafting. I was bringing in CD's to work so I'd have somethingto listen to. In the mornings I'd pick out about 5 CD's that I was in the mood for. That was okay but I quickly realized that what I wanted to hear in the morning was notwhat I wanted to hear 2-3 hours later when I really woke up. The more awake I was the faster and harder the music became. Especially on Friday. TGIF! I thought to myself, I'll just bring in my whole CD case which held 300 CD's. That case is an aluminum case, like small suitcase. Well, I did that for a week or two and people were looking at me funny. I was "that guy" with the suitcase....that was awkward. I realized that I could not continue to bring in the metal luggage everyday. I had to figure out something better. I started to think...it would be really cool if I can just listen to my music over the internet from my house. Then I would not be "that odd guy". I did a little research and discovered some people where using Winamp to stream music. The software needed was really simple. Back then I had cable internet with Excite at home. It was of course much slower in those days. I had 128k outgoing bandwidth. That is not much but it was enough to send out a stream or two at a low quality. Certainly not as good as I have now. I thought to myself, hey, I am tech geek, this would be cool and a fun thing to do. So I recorded a bunch of my CD's, setup the stream and whammo! I had my own personal Internet radio station. Down the road I started adding things like the request capability so I can control my songs. It worked really good for one or two people. Good enough to solve my problem. My personal station worked really good. I thought I should share this with friends so I created a web page and then I found one of those lame free domain names so people could find me online. The domain name was djgremlin.mine.nu. It wasn’t the coolest but it worked. I was official, I was online, I was Gremlin Radio. Well, you know how hobbies can be….they need money. Also at the same time I paid for my first stream server company to host my stream so I could have more listeners. You cannot do much with only two slots or so for listeners. So the added stream server really allowed me to grow with listeners. After about a year or so of operation I had regular more listeners and went big time with my own domain name. Sep. of ’02 GremlinRadio.com was on the map. For a little humor, check out a snapshot of the old djgremlin.mine.nu website here djgremlin.mine.nu. I had 3 DJ’s on the station and only 284 songs…. Wow. Here is another entertaining archive snapshots after I upgraded to GremlinRadio.com…boy did it grow quick. Hope you enjoyed the history. FAQ - Who runs GremlinRadio.com? A: Please reference below list. Kipp is responsible for the smart and parts of of the station, coding, scripting, server updates, server expansion, station growth. He will be secondary means of communication. Kipp's daily goals is to make our streams more seamless with less interruptions. Shane is responsible for daily activities, new projects, new ideas, contractual agreements, script and show updates to the server, finding new dj's, building moral throughout and providing answers to your questions on any or all activities that deal with this organization. Q: Where can I purchase Gremlin Radio Apparel? A: Here is a location that you can purchase Gremlin Radio gear. Gremlin Radio doesn't have a direct production line and has to use a third party provider. We appreciate your continuing support by advertising our station! Q: How can I help keep GremlinRadio streaming and updating their Breaks. Your support is very much appreciated. We would like to continue to offer this broadcast and other content. If you enjoy this station and listen to it on a regular basis please consider a donation. You should know that this site can not function without costs, whether it's the streaming servers, the music, or other content and services. It's not cheap. Ultimately we would like to offer more to you but without more support from our listeners we will not be able to continually offer this.Currently this station is paid for by the Owner, DJ's and donations from listeners. There is only so much that can come from the owner and the DJ's so we desperately need donations from the listeners. Q. How can you call us? How can you drop us a promo shoutout for the station? A. We're taking your calls! Call our comment line and leave a message. We may use your call on the air. The comment line is for anyone who would like to call and tell us anything about the station. Tell us what you really think. If you love GR, you want to tell the world and you don't know what to say, then here are a few ideas to help you. You can say exactly what it says or mix and match. It's all up to you. Hey! This is (your name) and your listening to Gremlinradio dot com! This is (your name) and your listening to the best breaks on the net! This is (your name) and I love Gremlin Radio! This is (your name) saying, Gremlin Radio dot com is the best! Hey Gremlin Radio, this is (your name) and I'm listening to Gremlin Radio dot com from (your home town)!